The Ambassador will deliver an address " New Zealand/United States trade and commerce; the bedrock of a strong relationship"
President Barack Obama nominated Mark Gilbert as United States Ambassador to New Zealand and Samoa on January 6, 2014. The U.S. Senate confirmed Ambassador Gilbert’s appointment on December 12, 2014 and he was sworn in by Vice President Joe Biden on January 7, 2015. Ambassador Gilbert formerly served as a Managing Director of UBS, the culmination of a 29 year career in finance. From 2009 to 2013 he served as the Deputy National Finance Chair for the Democratic National Committee. Prior to his banking career, Ambassador Gilbert played professional baseball for eight seasons, reaching the major leagues with the Chicago White Sox in 1985. Ambassador Gilbert is the first former major league player to become a United States Ambassador. 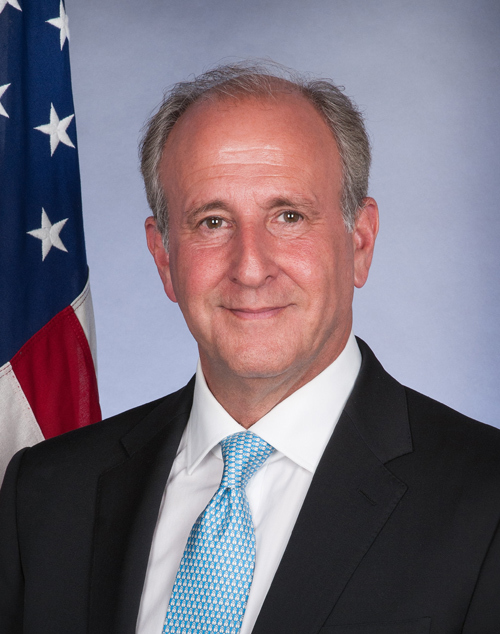 Ambassador Gilbert served on the Development Committee and Utah Advisory Board of the Sundance Institute; has served as Chairman of the Board and Finance Committee at the Pine Crest School (1992-2012); and as President and Chairman of the Budget and Finance Committee of B'nai Torah Congregation (1994-2007). Ambassador Gilbert is a graduate of Florida State University. He and his wife Nancy have two daughters. Registrations will not be refunded if bookings are cancelled after 10th February 2015.